Droga5 has just launched our first project for New York City Football Club, an online platform called myNYCFC. Not only does it officially kick off the creative partnership, but it is also the first opportunity for New Yorkers to interact directly with the team. 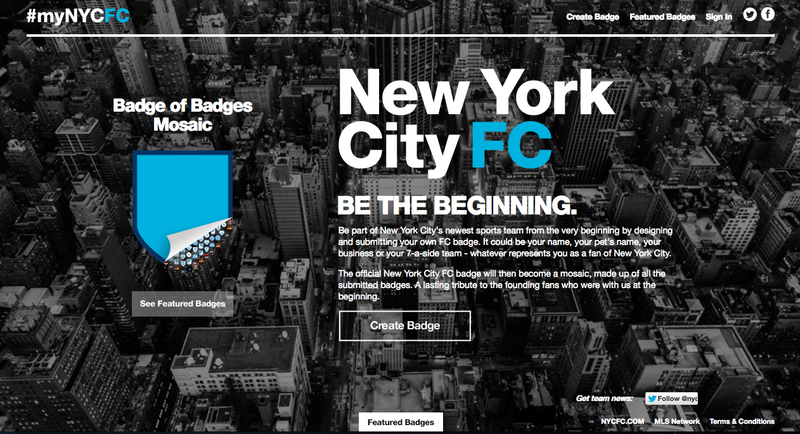 The online platform allows fans to contribute to the creation of the new soccer team’s official badge by submitting design ideas via a customizable badge creator at nycfc.com/mynycfc.